Every once in a while, my husband and I make an effort to discover new restaurants on our date nights. 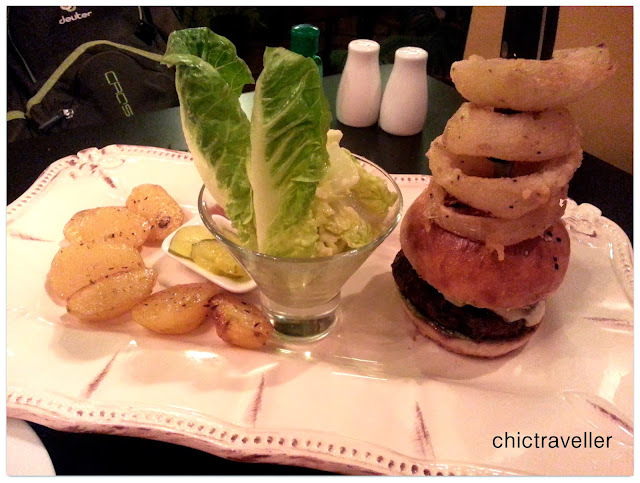 Since living in the South, we have been scouting for recommended restos online and offline. 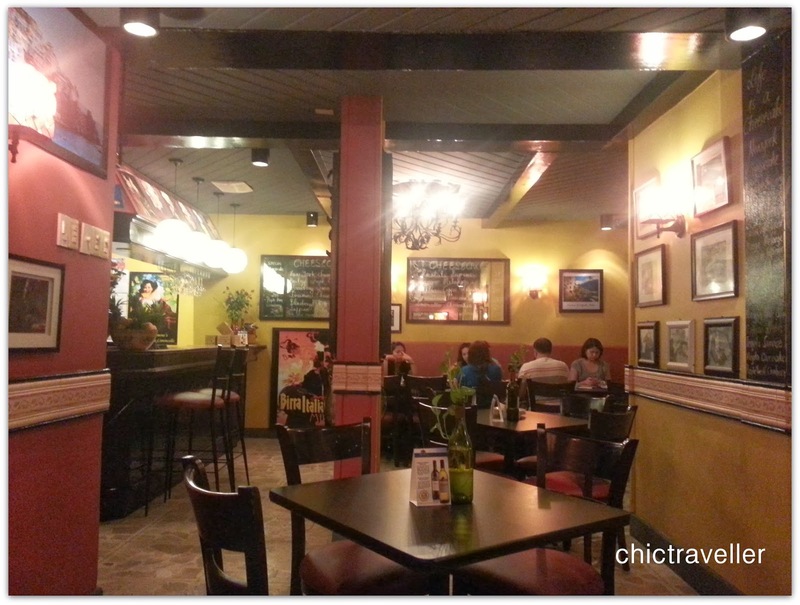 One night, we stumbled upon Don Limone in Aguirre Avenue, BF Homes Paranaque. When we entered, we immediately felt at home with its cozy interiors. 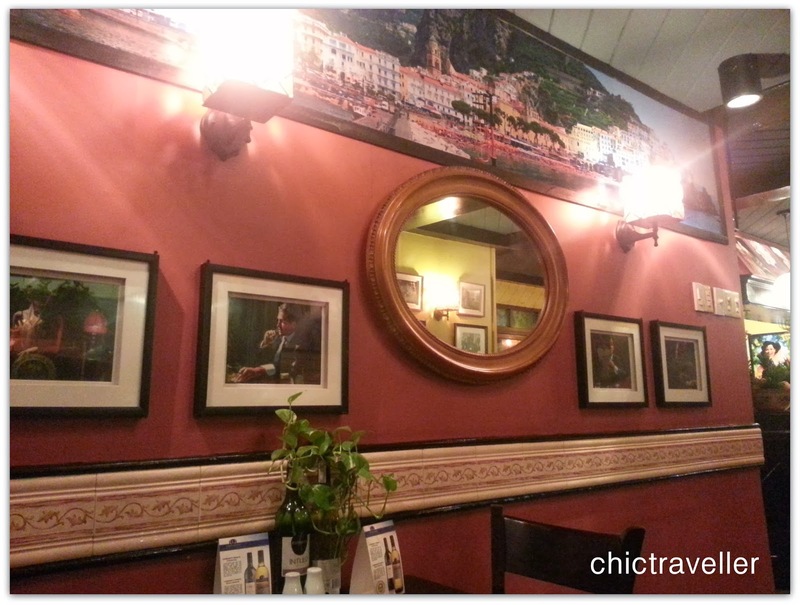 It was very Italian with plenty of pretty wall art hanging on its red walls. These images remind me of the Godfather movie. 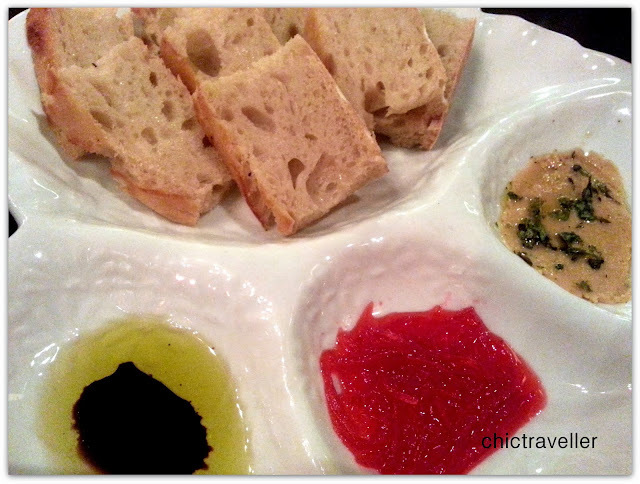 They gave us a free appetizer -- bread with a sampler of dips. We got the Trio sampler. 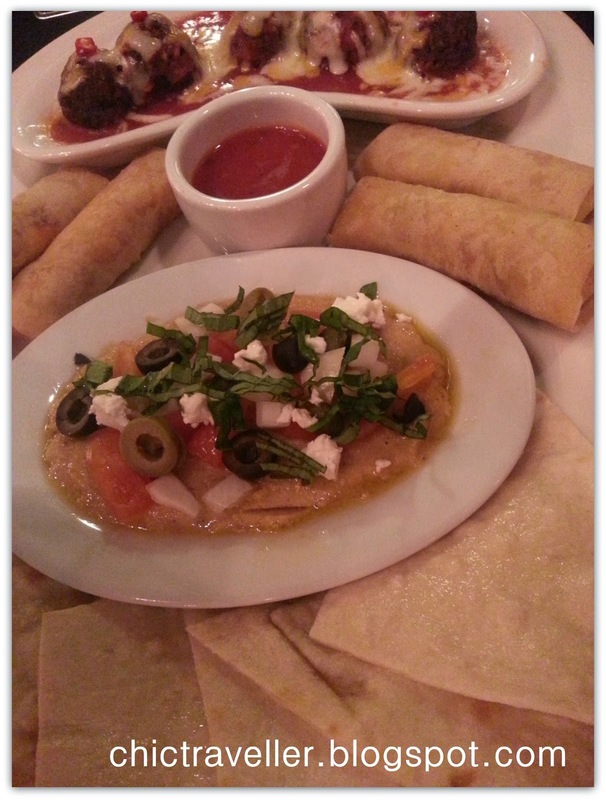 In their menu, the description says it is their mix of popular tapas which include Meatball Al Forno, Pepperoni Rolls, and Hummus En Fuego. The pepperoni rolls and hummus were good. I especially like it that their hummus includes olives, cheese and some greens. For our main course, we ordered the lamb burger. They plated it so nicely! It came with a side dish of potatoes, salad and onion rings. The burger wasn't so big though. I don't have a picture of our dessert (major fail!) but we had one of Don Limone's famous cheesecakes. 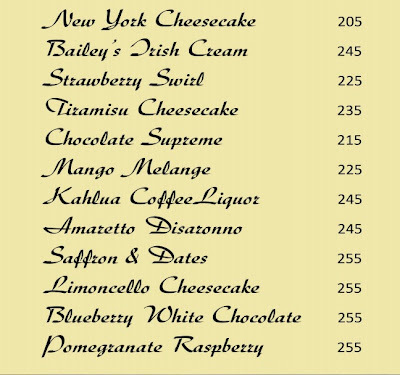 When ordering cheesecake, you have to ask the staff which ones are available as not all variants are in stock. Our server recommended the Saffron & Dates cheesecake, and it was sooooo good! It was so good that I wasn't able to take a picture of it. It was so good that we took home 2 additional flavors of their cheesecake, and again I wasn't able to take pictures because we ate it much faster than I could take a snap of it. Haha. Overall, we enjoyed our Don Limone experience. If you're not up to tasting their full menu, you can just go there for the cheesecake and it will be worth the trip. 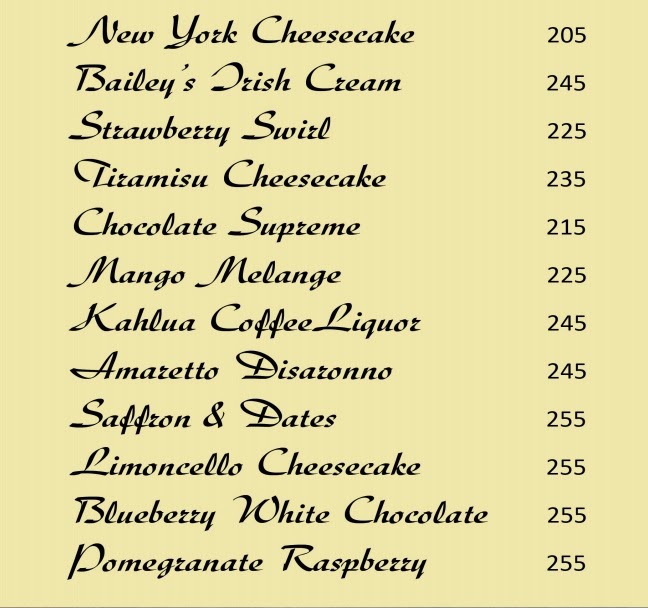 The cheesecake is quite pricey though. Each slice will cost you more than P200, but still it's that good you won't mind the hefty price. 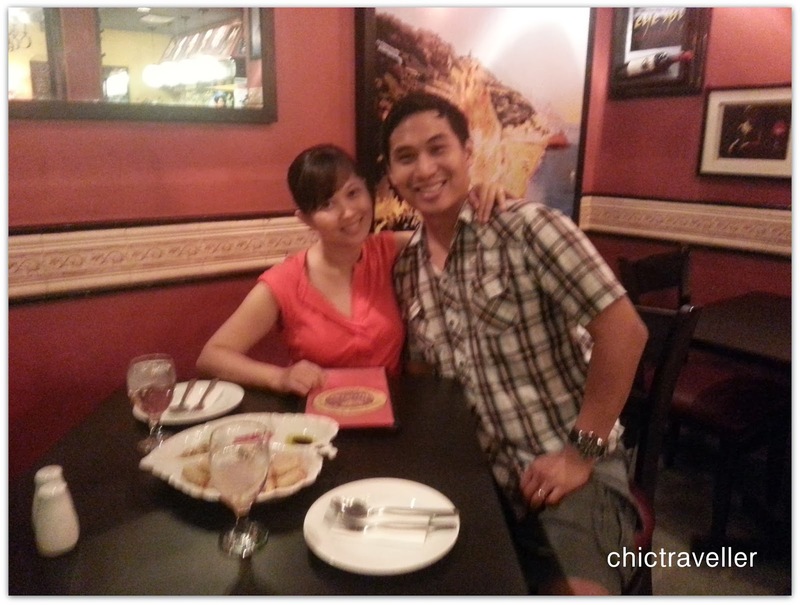 We enjoyed our Don Limone experience. The cheesecake completely won us over!